What's New For 2009?The 2009 Saab 9-3 SportCombi gets the XWD all-wheel drive system from last year's 2008 Saab 9-3 Turbo X sport sedan and wagon. The Turbo X model is dropped, but the Saab 9-3 SportCombi Aero models get that car's 280-horsepower turbocharged V-6 engine and sport-tuned suspension, as well as the carbon-fiber-look interior trim. Should I Buy This Car? Yes. Although we're lukewarm on the 9-3 sedan and convertible, the wagon's utility and attractive styling make up for its shortcomings. How Swedish is this wagon, really? 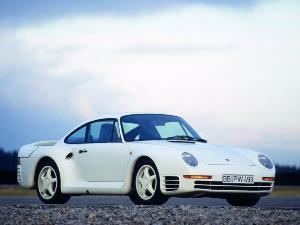 Now that Saab is owned by General Motors, that's a pretty good question. The answer varies. 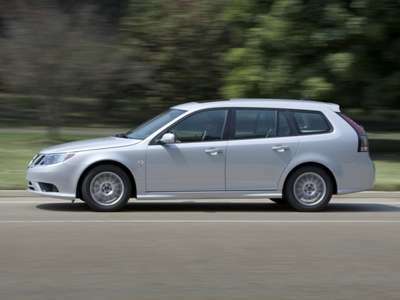 A lot of the styling of the 2009 Saab 9-3 SportCombi wagon is legitimately quirky Swede, but the corporate influence of GM on all the Saabs cannot be denied (or avoided). Let your heart decide. What else should I consider? The Volvo V50 is also a front-drive wagon of similar size and shape as the Saab 9-3 SportCombi, offering the same utility as well. You could also take a look at the BMW 3 Series wagons, as long as you keep options in check. The 2009 Saab 9-3 SportCombi is the entry-level Saab wagon. 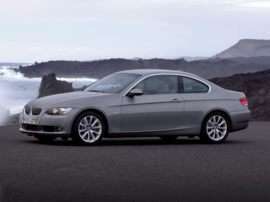 The Saab 9-3 lineup also includes sedan and convertible versions. Two important features make the Saab 9-3 SportCombi wagon stand out: unique turbocharged engines and available all-wheel drive. 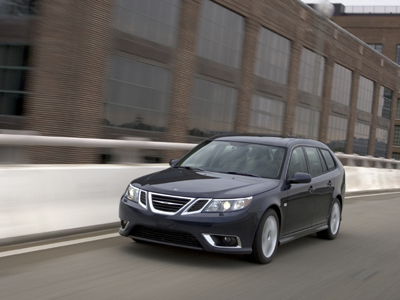 The base model 2009 Saab 9-3 SportCombi costs $31,040 and is powered by a 210-hp turbocharged 2.0-liter 4-cylinder. 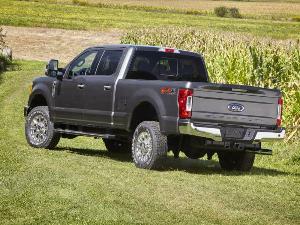 In front-wheel drive models, that engine is mated to either a six-speed manual or five-speed automatic transmission, with a six-speed automatic in all-wheel drive models. Opt for the $43,940 Saab 9-3 SportCombi Aero and you get a 2.8-liter turbocharged V-6 producing a respectable 280 hp driving all four wheels through a six-speed manual or automatic transmission. All prices include a $775 destination charge. While the 2009 Saab 9-3 wagon delivers the goods on paper and is pleasing to the eye, it still lacks in key areas. 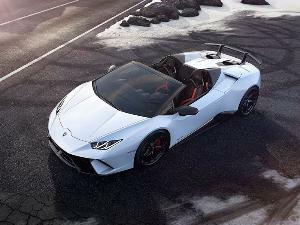 In practice, the turbocharged V-6 doesn't feel very powerful, and although we like the added security and control of the all-wheel drive system, it's not enough to sway us. However, we do like the SportCombi's wagon utility and unique styling, enough that some of us are willing to overlook the car's refinement shortcomings, especially in the lower-priced 2.0-liter turbo models.